To the right is a picture of a very nice boat traveling down the Mohawk River in Glendale, New York. 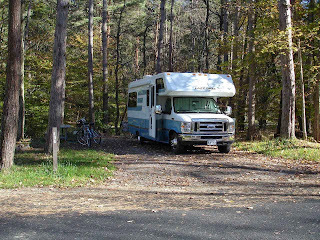 This is from our campground at Arrowhead Marina. We stop here often as a takeoff point into the south(Pennsylvania center) or west ( Finger Lakes to southwest NY and beyond. Many times, like this weekend, we see boats this size and much larger. 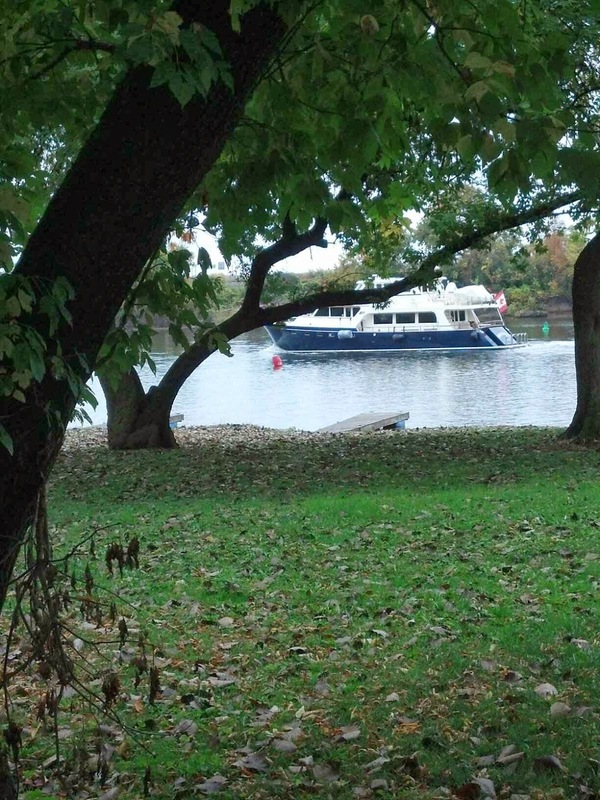 We had to ask the locals, but the answer is that the Mohawk River connects via a system of locks to the Hudson River and the St Lawrence Seaway. From there, among other destinations, boaters can travel the Intracoastal Waterway, a 3,000 mile series of canals and rivers, all the way to Florida's West Coast. 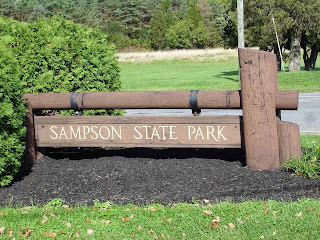 This year, it's off to Sampson State Park on Seneca Lake in the Finger Lakes region of New York. If you are wondering about the title for this blog issue, it's that we once again can see the advantage of our Lady Blue Lazy Daze. 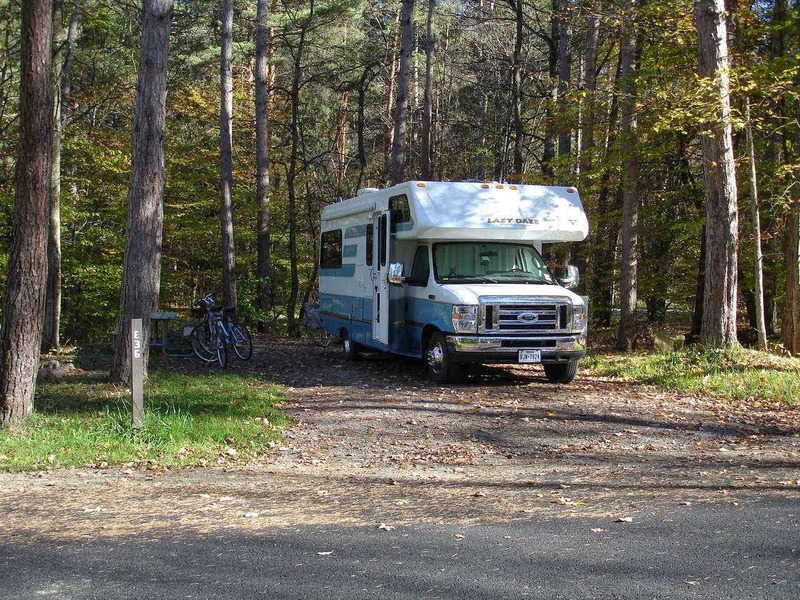 Even on busy weekends we are fairly sure that we can find a spot to camp, because our motorhome is fully self contained. With batteries fully charged, a full tank of fresh water, and empty gray and black tanks, we can stop almost anywhere. 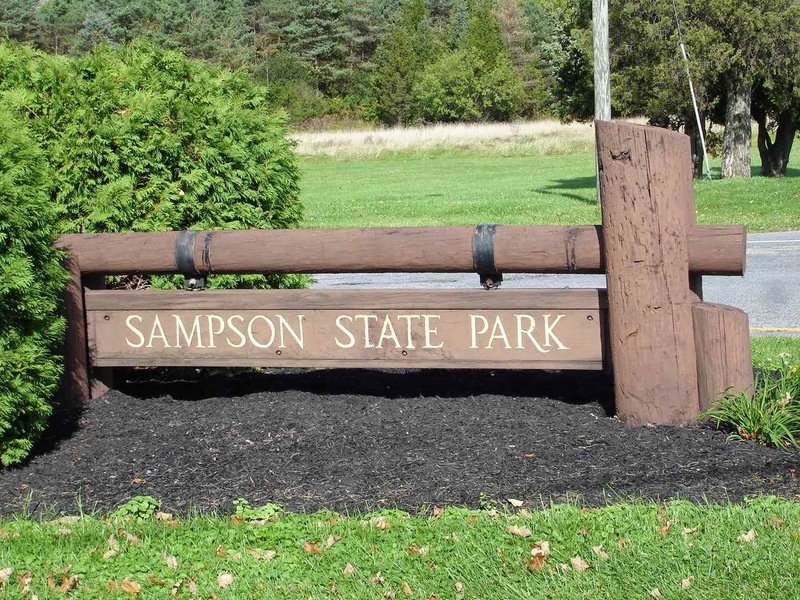 At Sampson we do find a large , open site with electricity. 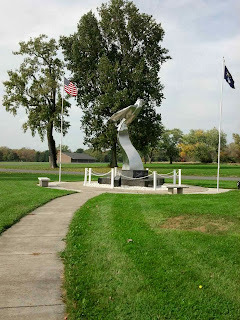 This park was the location for thousands of Navy trainees during WWII. The roads and some of the buildings are still visible around the huge park. 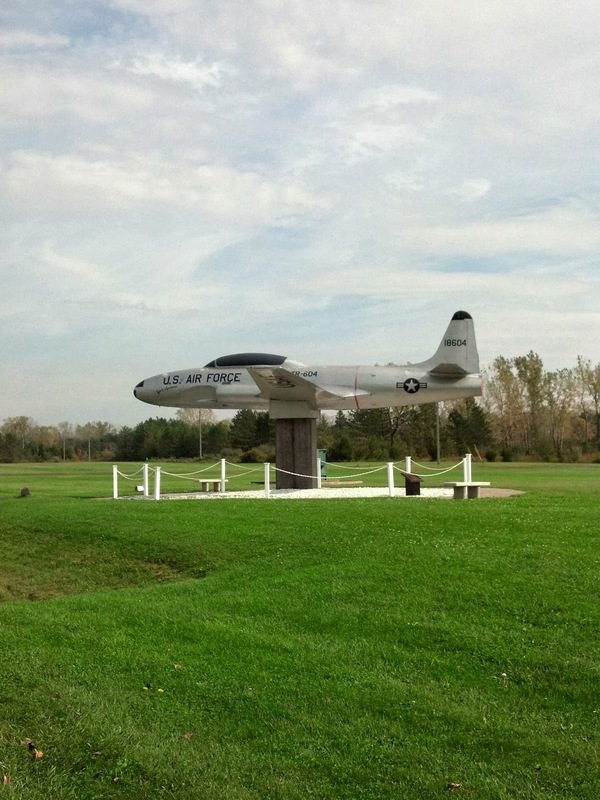 Memorials to the veterans are visible around a museum near the entrance to the park. An early jet makes note of the Navy air presence. The US was not successful with jets during WWII, but they were developed for use during the Korean War shortly after. 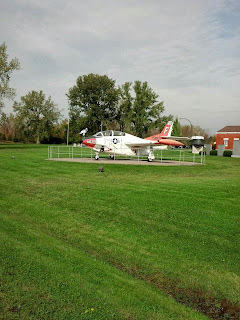 This Air Force jet is from the Korean War era when Sampson was used for trainees in the Air Force. After 1960, the park was turned over the state where it was developed to its use today. You get a little idea of the great spacing in this park. Plenty of room between sites. 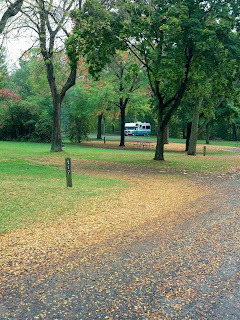 There are possibilities for long walks within the park. This picture is from the waterfront with the marina in the distance. The west shore of Lake Seneca is a good ways distant. 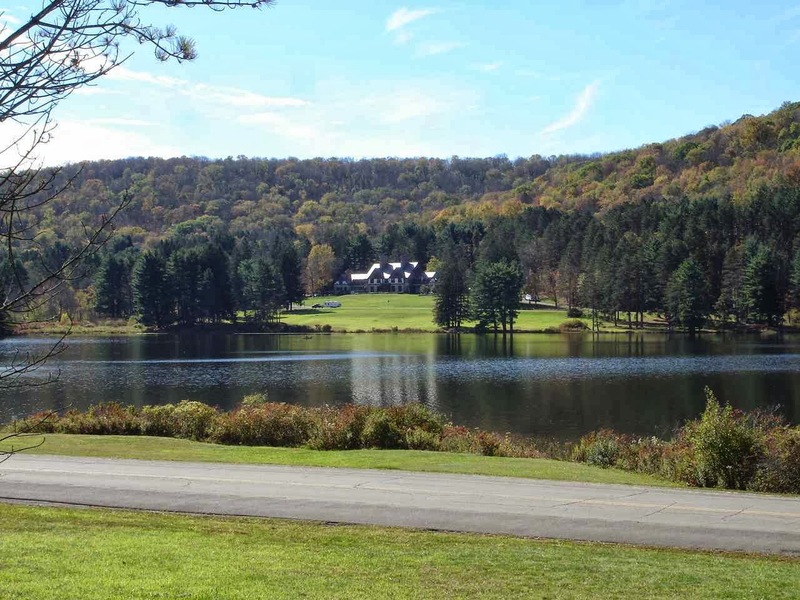 All along the shores of these lakes are many wineries and other farms. When we left Sampson, we stopped at an Amish farm stand for some vegetables and homemade cookies. I have a hard time passing by home baked goodies. 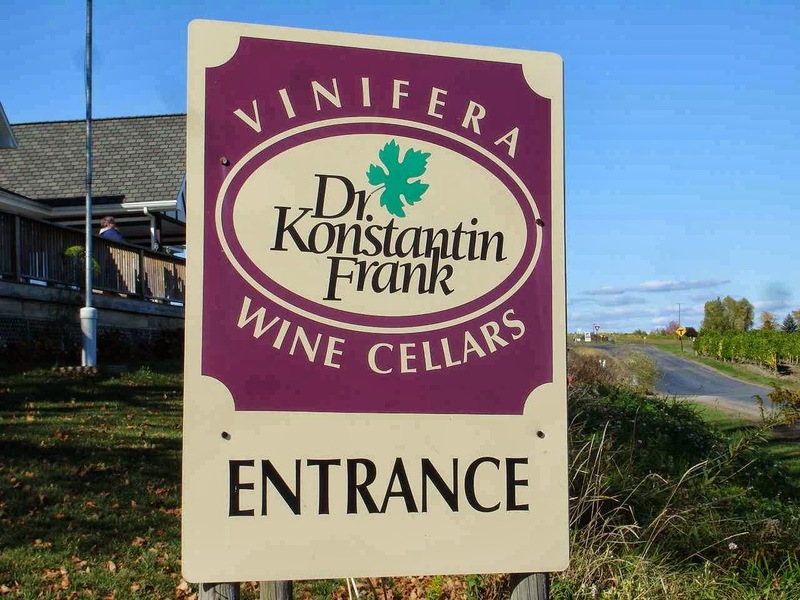 Dr. Frank was one of the earliest vineyard owners to successfully operate in the Finger Lakes. The winning wine was a Riesling. Now there are many winning wines from the region , including Pinot Noir and others. Almost ready to pick. The red varieties have already been harvested. 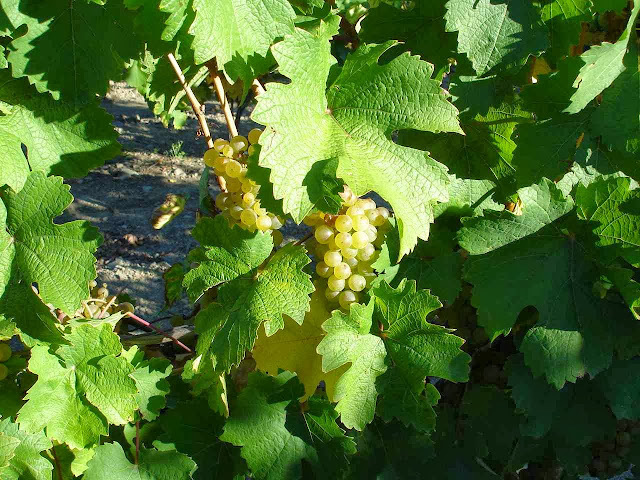 The wine growers can go on at length about how crucial it is to pick grapes at the proper time. 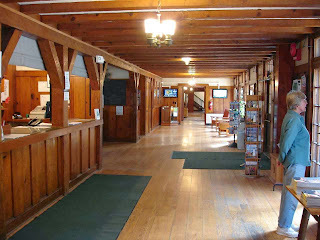 The sales and tasting building is very pleasant and the free wine tasting is quite enjoyable. To the left are the production buildings, quite active with many workers. To the right, down the hill is a beautiful view of the lake and the vines. This is the view from Dr. Frank's tasting porch. 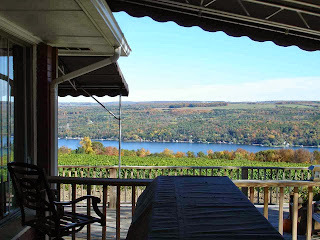 Some customers take a glass or two out on the porch and sit in some very comfortable chairs to enjoy the view out over Keuka Lake. There are worse ways to spend an hour or two on a Fall afternoon. Another view from Dr. Frank's. 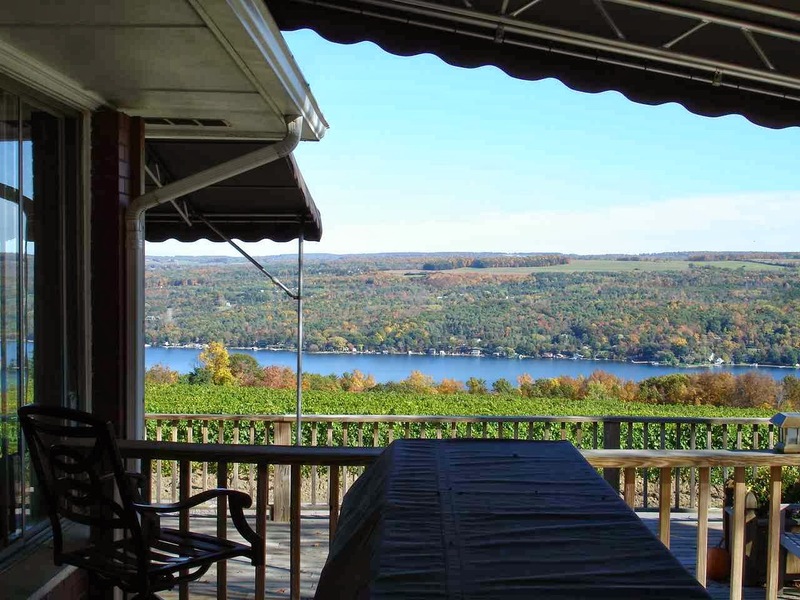 Acres and acres of vines and then a beautiful view of the lake. 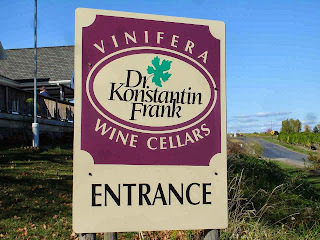 We stayed close by the vineyard at Keuka Lake State Park. It was another very private , wonderful site. With the government shutdown, we could not count on the Corps of Engineer parks and National Forest parks to be open. 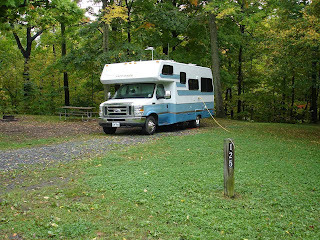 So we continued with the New York state parks. This is the administration building at Allegany State Park in southwest New York. This is the largest park in the New York system. 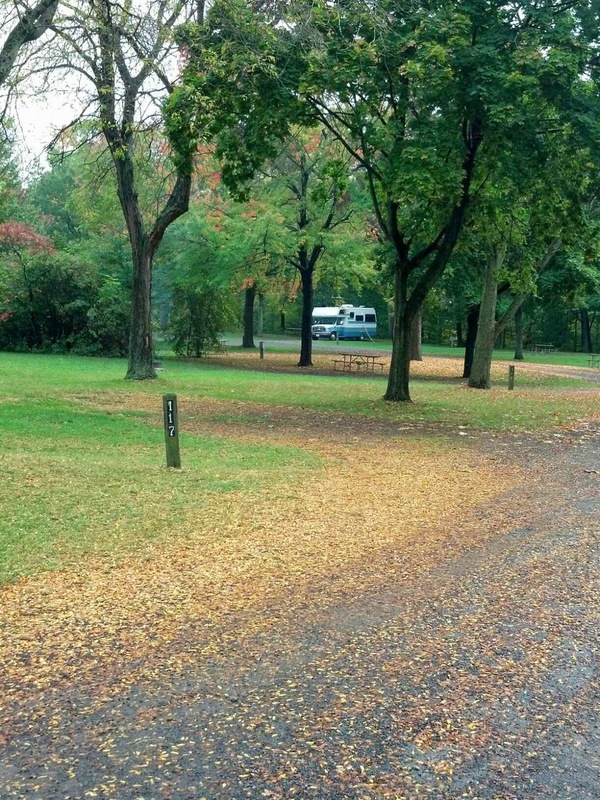 There are two separate and large campgrounds. This building is in the Red House area. The second floor houses a very comfortable restaurant and the first floor has a small store, museum, and lounge area that overlooks the lake. 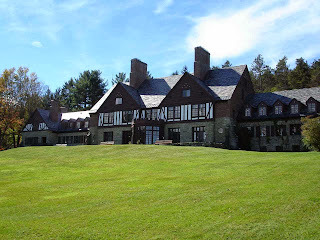 A number of buildings are from the Civilian Conservation Corps. There is a bike trail that goes all around the lake. This view is of the main building from that bike trail. There are also 95 miles of hiking on 18 hiking trails. 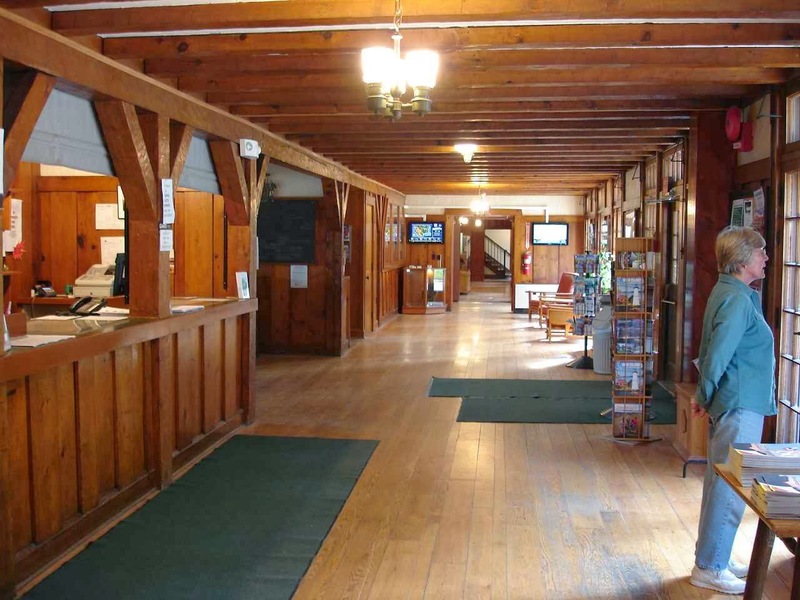 There are 35 miles of cross country ski trails and 360 cabins. 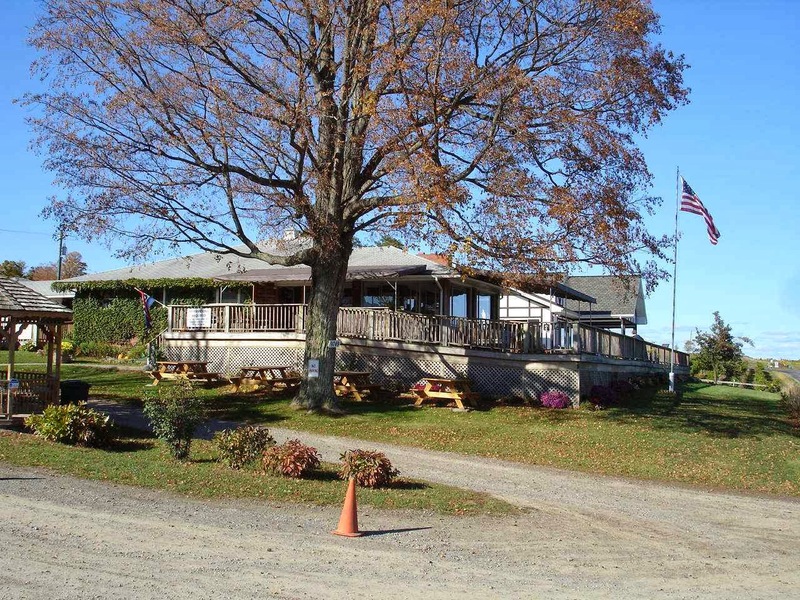 150 of the cabins are winterized. 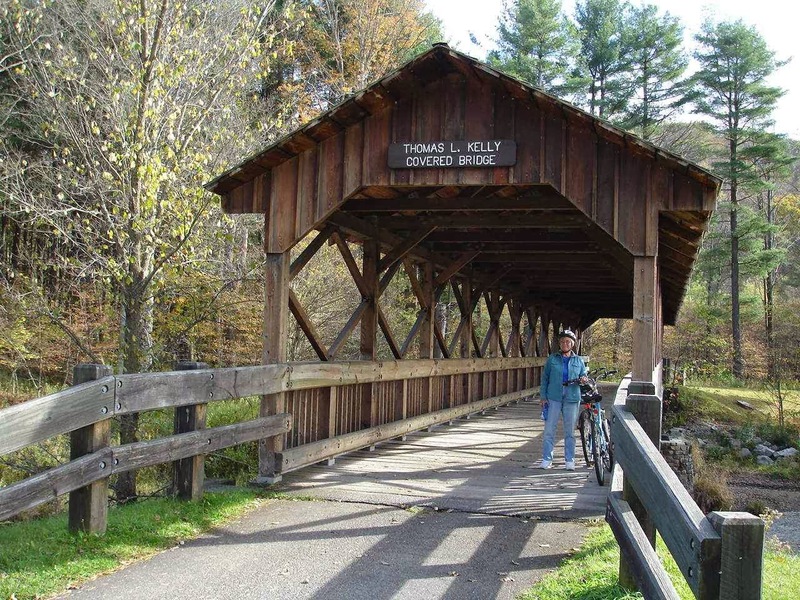 The bike trail even includes a covered bridge. The park has a well developed beach area with boat and bike rentals. We managed to find a spot on Columbus Day weekend--not easy-- and observed many, many families using the park with cookouts, games, and Halloween festivities. In spite of the look of this picture, these sites are closer together than those at Sampson or Keuka. But after the weekend there are many choices with more space between. We had a nicely burbling brook to watch and listen to behind Lady Blue. This brings us to a big Lady blue advantage. It is Sunday of Columbus Day weekend and we know the parks are still full. Jan and I leave Red House area of Allegany State Park and head over to look at the Quaker Lake area. 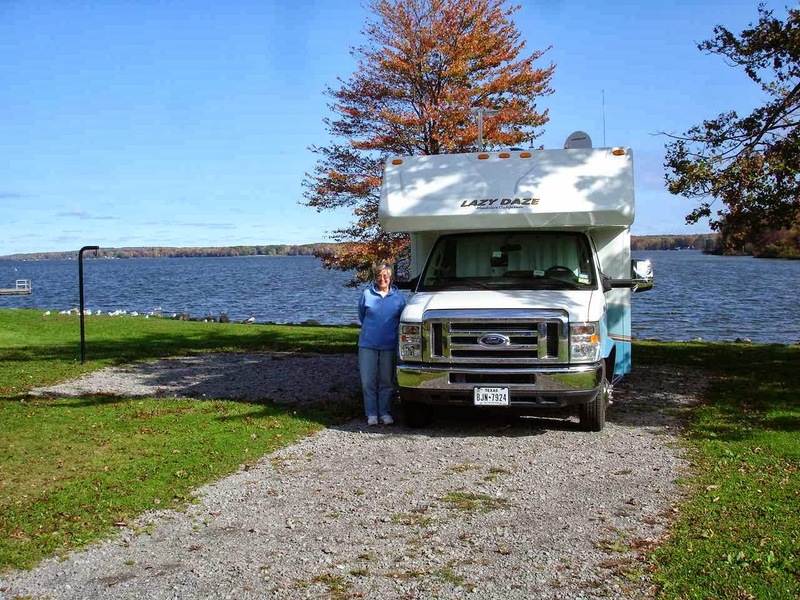 Also a very nice campground and lake, but we decided that we would still prefer the Red House area. 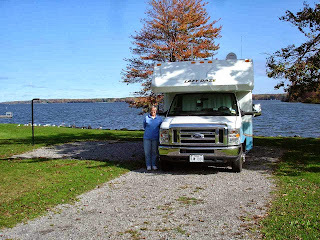 We head west and south to Pennsylvania and the Pymatuning State Park in Jamestown, Pa. The view of Pymatuning from Lady blue's back window. The campground on the other side is in Ohio , part of the Ohio State Park system. The girl at the office doesn't mention this site because there is no electricity on the site. But when we look around, we can see that it has to be one of the best sites in the park. Most of the other sites are occupied---why not this one? Because most campers want electricity. Advantage Lazy Daze? We are self contained and with our 100 watt solar panel and fully charged glass mat batteries , we do not need electricity or other hookups. Another advantage---when we arrive, it starts to rain--hard. No problem. We just park and walk back into our Lazy Daze--- without even going outside--and enjoy the view--no setup necessary! I grew up in Erie, PA. Allegheny and Pymatuning SP were two of the places our family camped every summer. Thanks for the memories! We love our Lazy Daze, too. Since May we've only been hooked up to electric 4 nights, in Phoenix and Vegas, since it was over 100 degrees and we had to have AC.